Dan Cong Mi Lan Xiang Oolong from Guangdong Province in China is known for the honey orchid aroma and taste. The dark leaves produce a golden liquor that is light, sweet and fruity with notes of wild honey and exotic flowers. 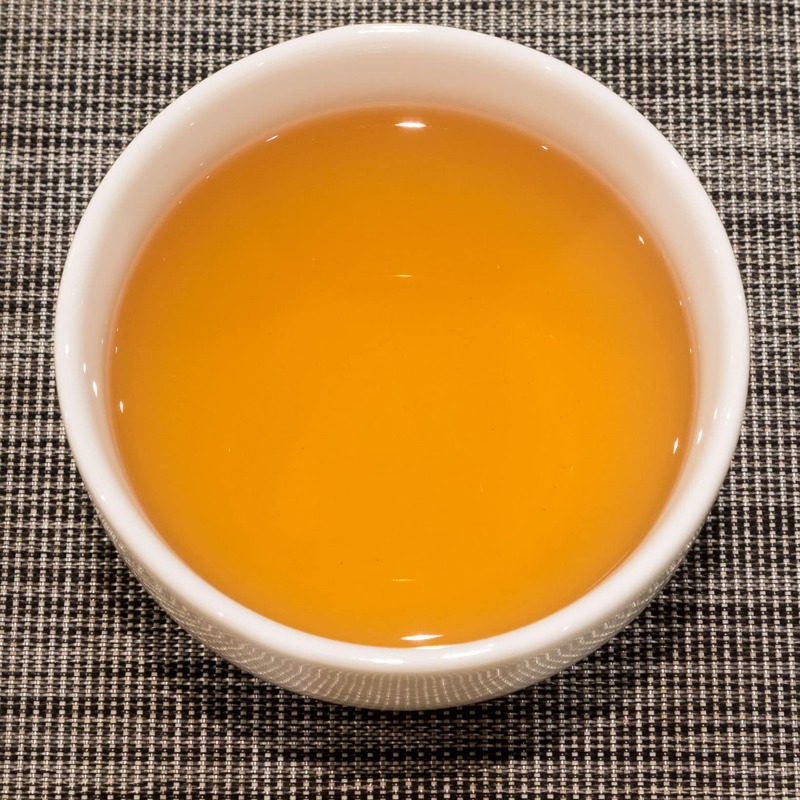 Dan Cong Mi Lan Xiang Oolong (单枞蜜兰香), also known in English as Honey Orchid Fragrance Phoenix Oolong, is an excellent example of an oolong from an area that unfortunately does not get enough attention – Guangdong Province in Southern China. 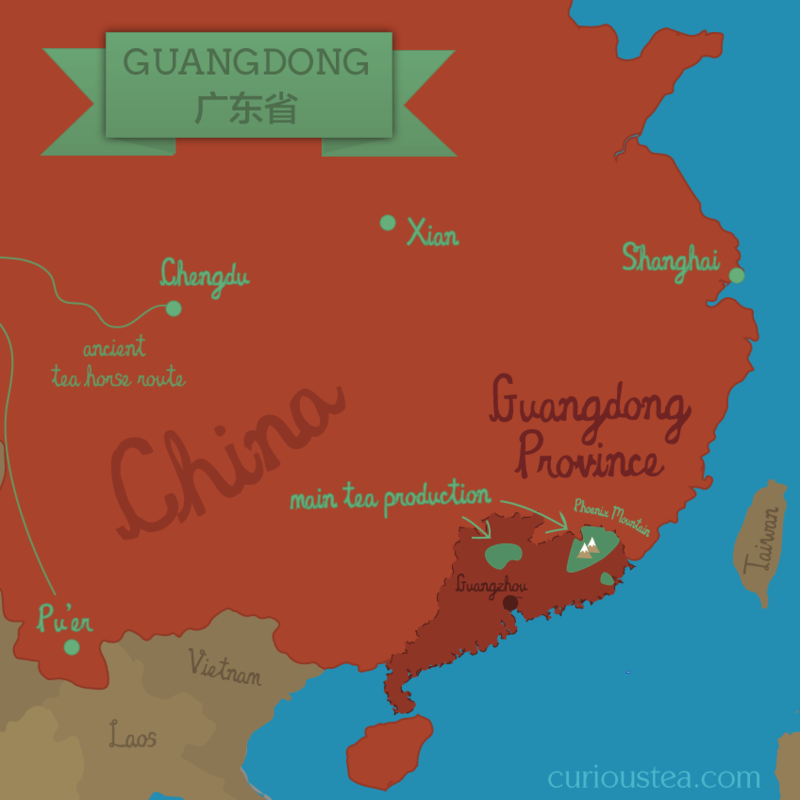 Dan Cong (单枞) is the general term that is used to refer to oolongs that come from Guangdong and specifically from Phoenix Mountain. Dan Cong literally means ‘single bush’ as traditionally these oolongs were all plucked only from single semi-wild trees. It has now become the generic term to cover all Phoenix Mountain (Fenghuang Shan 凤凰山) and sometimes other Guangdong Oolongs. Dan Cong Oolongs are noted for their ability to imitate various flavours, be it flowers or fruits. 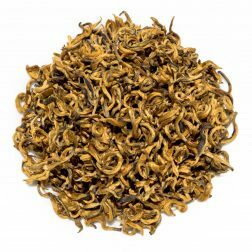 This is a natural characteristic of these oolongs and no flavouring is added at all. The apparent aroma and taste differences of Dan Cong Oolongs are mostly introduced during the finishing process of each tea. The skills of the tea master are therefore paramount in how each batch of tea turns out. 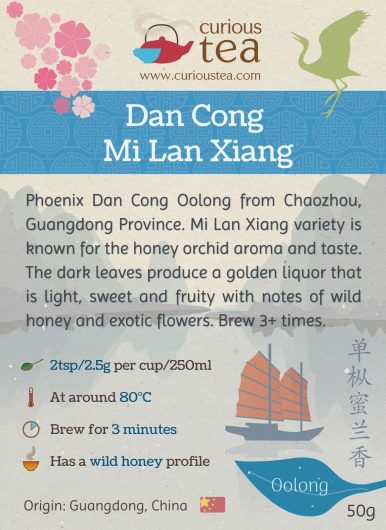 This Mi Lan Xiang Dan Cong Oolong for example is noted for its Honey Orchid aroma and flavour. The name Mi Lan Xiang (蜜兰香) translates as ‘Honey Orchid Fragrance’. 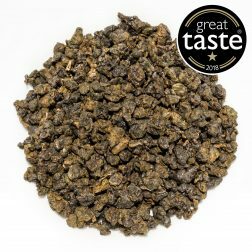 This particular Dan Cong Mi Lan Xiang Oolong comes from the Phoenix Mountain area near Chaozhou City (Phoenix Town) in Guangdong Province. The semi-wild tea trees that are used to produce this tea are the Fenghuang Shui Xian cultivar, which is the traditional cultivar used in this area and the usual one for Dan Cong Oolong. The tea trees are on average about 30 years old and are grown semi-wild at an altitude of 1000-1500 metres on the rocks of Wu Dong Mountain. 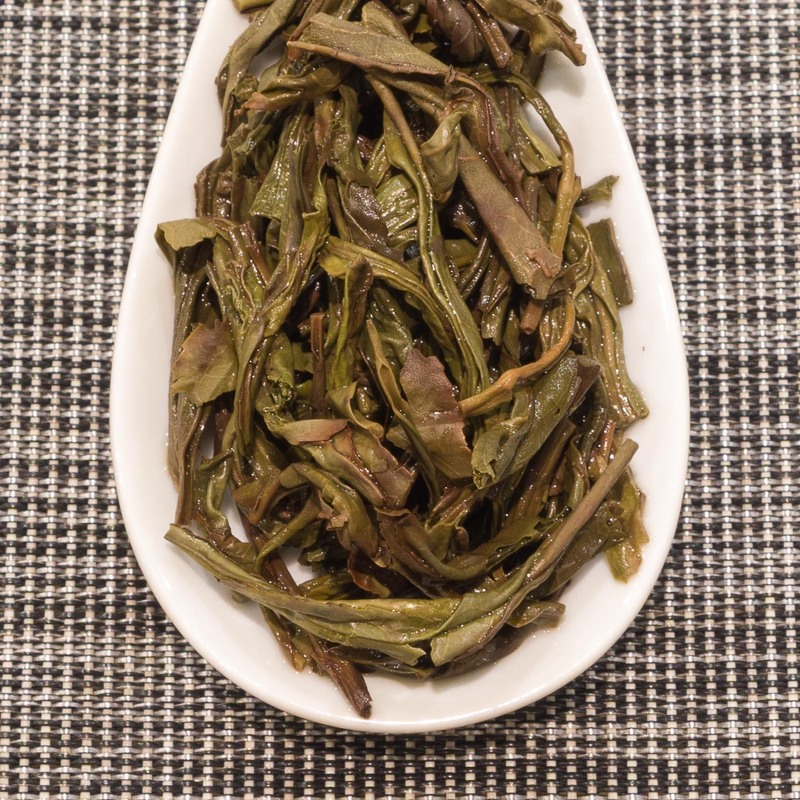 Plucking occurs in mid April and this Dan Cong Mi Lan Xiang Oolong is from the 2018 harvest. Spring harvest is particularly favoured as it tends to be more floral and less astringent compared to leaves harvested during other times of the year. 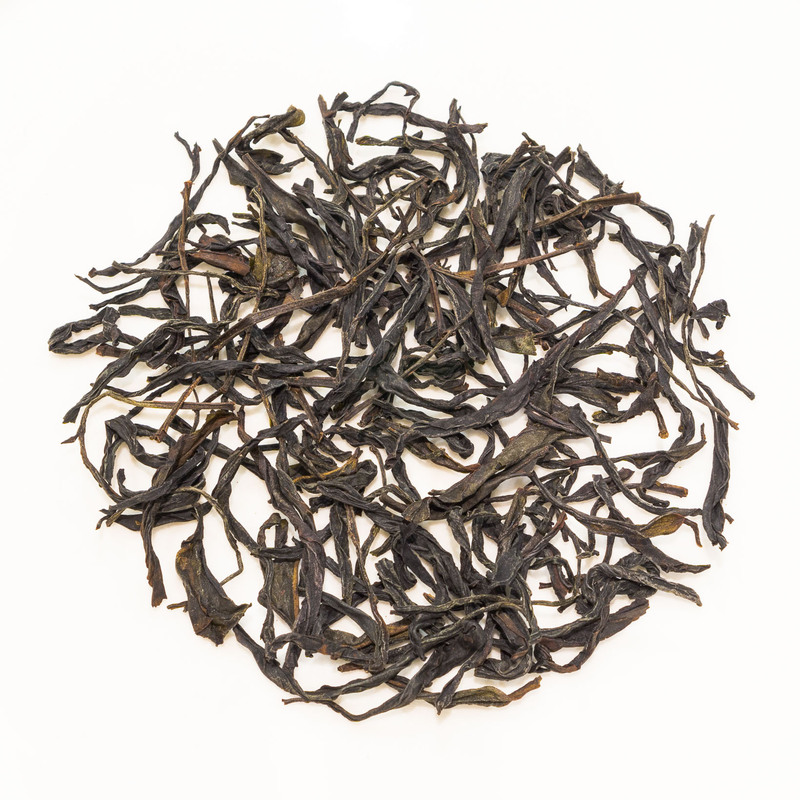 The dry leaves of this Dan Cong Mi Lan Xiang Oolong are dark and twisted producing a medium strength golden liquor. The aroma is quite floral, a little baked with a smell of sweet violets. The taste of this tea is quite exceptional, really full of wild honey and exotic flower notes. The smooth flavours are sweet, floral and fruity with particular hints of mango, vanilla and honey. 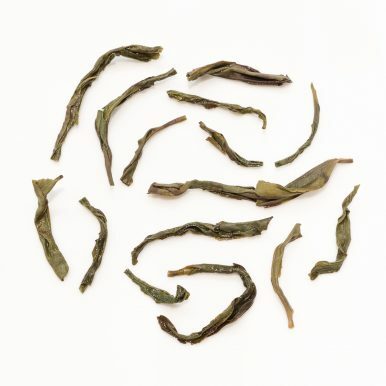 The high quality of this Dan Cong Mi Lan Xiang Oolong means that this tea can stand many infusions. Infuse it the western way in a tea pot at 90°C for 3-4 minutes 3+ times. If you are finding that your tea is turning out a little too astringent, you can reduce the brewing time or temperature until you reach your preferred taste. This tea would particularly benefit from traditional Gong Fu style brewing, yielding a lot more infusions, each bursting with flavour. It is a fascinating way of seeing how the tea changes with each infusion. 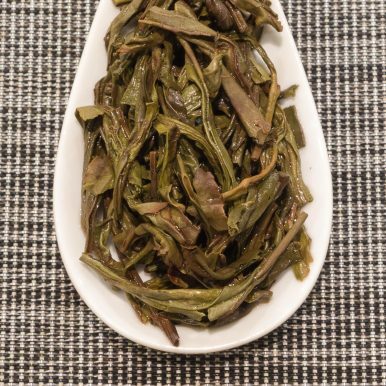 This Dan Cong Mi Lan Xiang Oolong tea was first featured in our May 2016 Curious Tea Subscription Boxes. 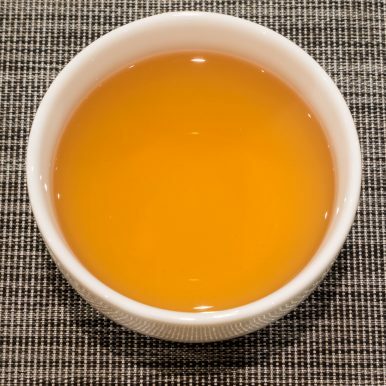 This Phoenix Oolong variety is known for orange blossom aroma and taste. It produces a smooth golden liquor that is light, sweet and fruity with citrus notes of orange blossom. A naturally scented, premium jasmine green tea from China. It produces a refreshingly fragrant, sweet and floral liquor that is highly addictive! 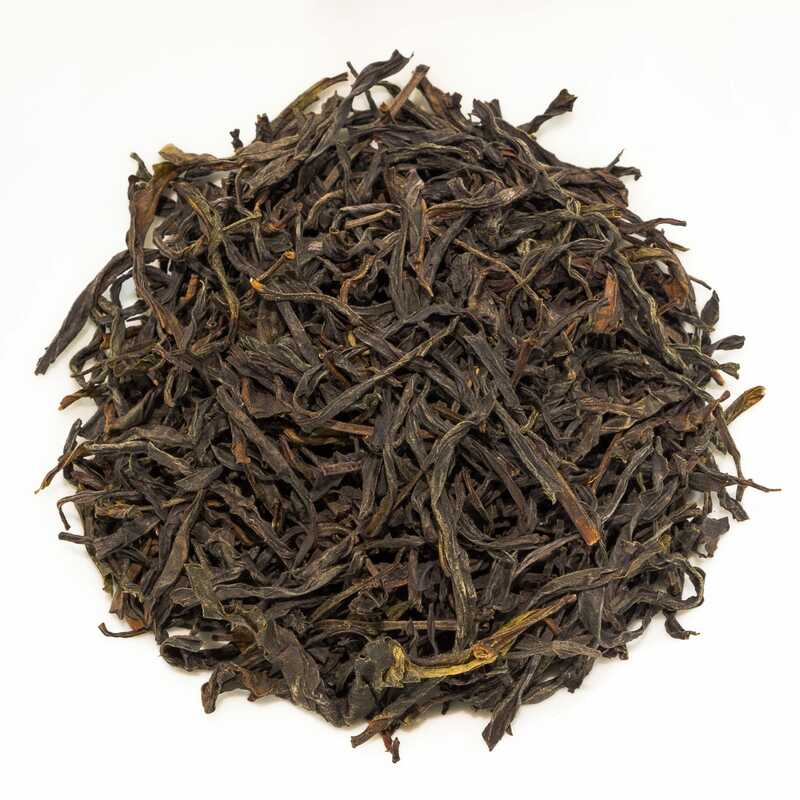 GABA-rich black tea from an organically grown ‘Ruby’ or ‘Red Jade’ cultivar. Medium strength liquor that is crisp and smooth, with a lingering flavour of raisins, tart fruits and a hint of mint. 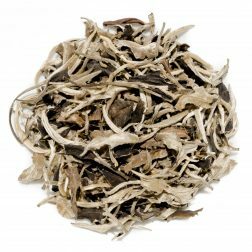 Consisting of a fine mixture of tips and leaves this white tea is hand harvested and processed. 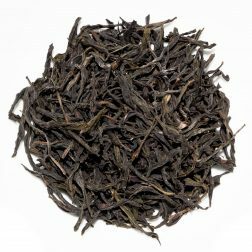 A tea with a robust flavour, it is still smooth and sweet, with woody, fruity and floral notes.